A rambling miscellany of a man's thoughts, ideas, interests, memories and actions. And the good news is . . . . .
I’m getting old and I’m going to die. The truth is that that statement isn’t as depressing is it might at first appear. Actually, I’m not feeling the slightest bit depressed, in fact I’m feeling quite good about it. 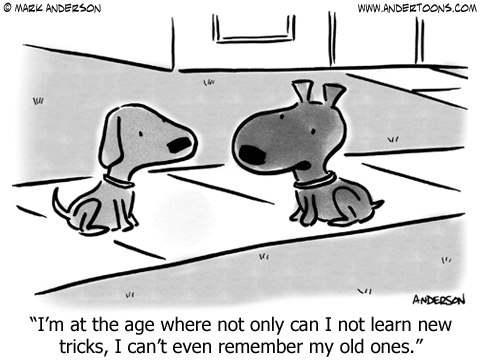 Getting old is a good thing. For me, it means that I can wake up each morning, open my eyes and say, ‘Hey, I’m still alive; what shall I do today’? Being in my upper 70’s can be a bit tiresome, of course. Some bits of me begin to creak, other bits ache at times and birds don’t seem to sing as loudly as they did, but I’m alive and it’s another day of opportunity. OK, so it’s necessary to adapt to who I am right now. Wasn’t it George Burns who quipped, “At my age, when I bend over to tie my shoes, I look around to see if there’s anything else I can do while I’m down there.”? I know the feeling. Mind you, he was a good deal older than I am now when he said it. When I retired from a very active working life I decided that I didn’t want to vegetate and that I would endeavour to learn something new every day. There is so much of interest all around us to find and appreciate if we care to look. It was at that time that I had my first internet connection. We’re talking about the mid-nineties. What gives me pleasure? Art, in its many and various forms: music, painting, sculpture, architecture, literature and so on. The list could be almost endless. Science: principally the wonder of the universe and our place within it, life on our planet, it’s evolution and diversity, and trying to get to grips with all the techy bits they throw at us these days. People: in the shape of friends and relatives, and meeting new people. I’m less inhibited than I was as a younger man in speaking first to people I don’t know: those we meet whilst out walking or exchanging thoughts with people in shops. I like engaging checkout staff in brief conversation, often they seem to be bored and locked in an impersonal bubble. Most wear a name badge. I like to say, ‘Thank you, Jenifer,’ (unless it happens to be Robert) and receive a smile as a result. It gives me a kick. And food: from a delicate wine to a stodgy piece of good old of bread pudding such as mother used to make. But, consider; the odds of winning the UK lottery are approximately fourteen million to one. The odds against any of us ever being born in the first place are so astronomically high that we’ve little choice but to feel that we’ve won the lottery, several times over. There’s no better way to express our good fortune than the words of Richard Dawkins in, Unweaving the Rainbow: Science, Delusion and the Appetite for Wonder. I’m glad that I’m able to get old and I’m glad that I have the opportunity to die. Life is good! I think you’d get even more pleasure if you said, “Thank you Jennifer” when the name tag did say ‘Robert’! You know me so well. If you would like to follow this blog enter your email address. You will receive notifications of new posts by email. Digging up roots and fresh young life. Blogpix: It themes like a good idea.